When water is not getting into the toilet tank, the toilet won't flush. The first thing to check is that water is getting to every other plumbing fixture in the house. If there is no water anywhere, check the main water valve to make sure it is turned on. If the main valve is on but there is still no water, you have a serious plumbing problem, and a professional must be called in. If there is water at every other plumbing fixture, than the toilet water line or a tank fixture will be the culprit. Before you do anything, make sure the main water valve is turned on. Turn the toilet supply valve on. Check the valve to make sure it is turned all the way to the left until it is seated firmly. Remove the tank cover and place it on the side. Move the float in the tank up and down. 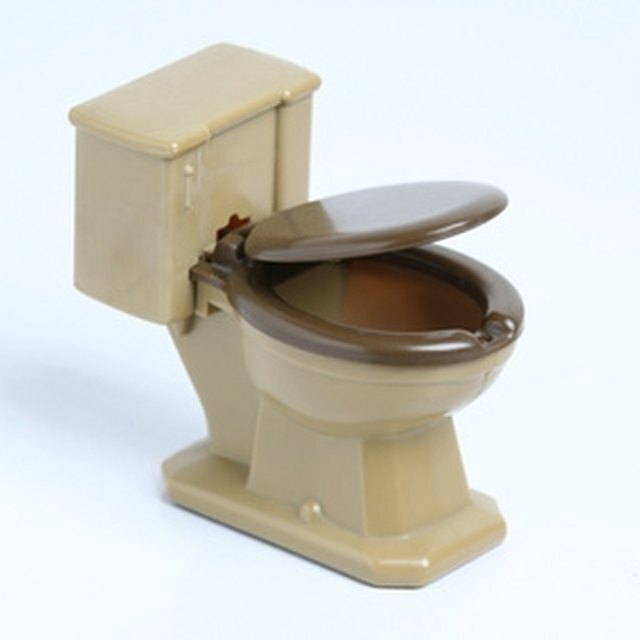 A jammed toilet float will stop the water flow. If moving the float allows water to flow, the float has gone bad and must be replaced. Check the fill valve. This will be located directly above the water feeder line. Pry the top off the fill valve with a screwdriver, and place a small cup over the top. Turn the main water valve on and off. Observe if there is any water flow at all going into the fill valve. If water sprays out of the top after one or two turns of the water supply valve, a piece of debris had blocked the fill valve. Replace the cap, and the toilet will fill as normal. If no water sprays out of the top, the fill valve is bad and will need to be replaced.